Sakura Watch, May 18, 2012 - More cherry blossoms in bloom through May long weekend long after the better known and celebrated smaller 5 petal sakura // cherry blossoms ended their bloom in weeks ago. There are only a handful of trees throughout the park, with most located at the base of the Hillside Gardens near Grenadier Pond. They are easily spotted as round, puffy, palm-sized white and pink flowers - each flower having 20-36 petals per flower! 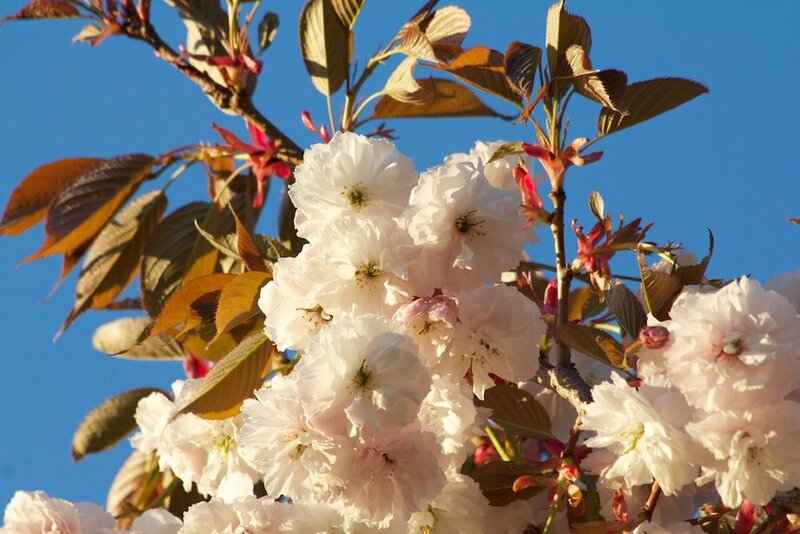 These are a different variety known by the names of ‘Akebono’, ‘Fugenzo’ or 'Shirofugen' and are usually the latest to bloom of all the cherry blossom trees. 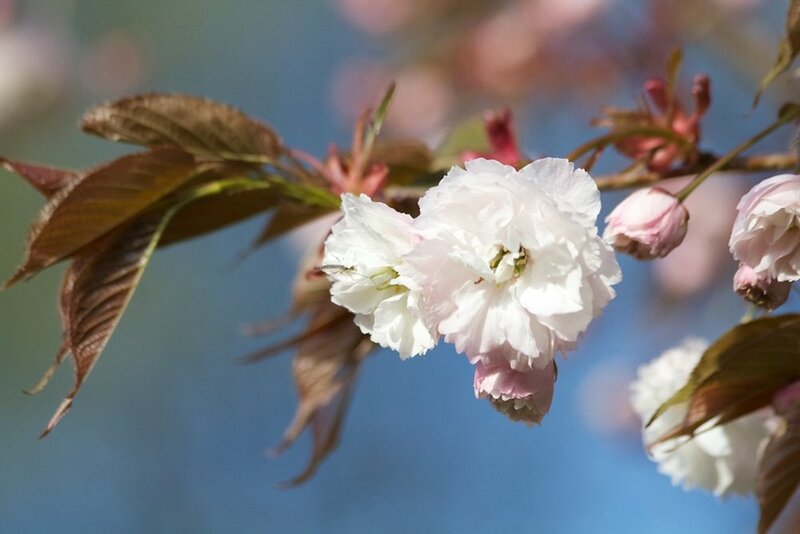 These sakura // cherry blossoms start-out as white, large and 'puffy' or 'full' flowers and over 1-2 weeks begin to turn an intense pink colour before eventually falling off and letting the green leaves grow in their place. I was surprised to see these trees in bloom and admittedly was caught off guard of their late bloom cycle, but know I (we) all know for next year!